1. 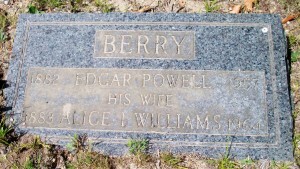 Alice Deane Berry Thomas; (August 4, 1909 – June 27, 1996); Married Albert Paulding Thomas (1910 – ?) (Albert Edward Thomas & Matilda (–)); A. Deane lived in New York City & is buried in Cataumet Cemetery. 2. 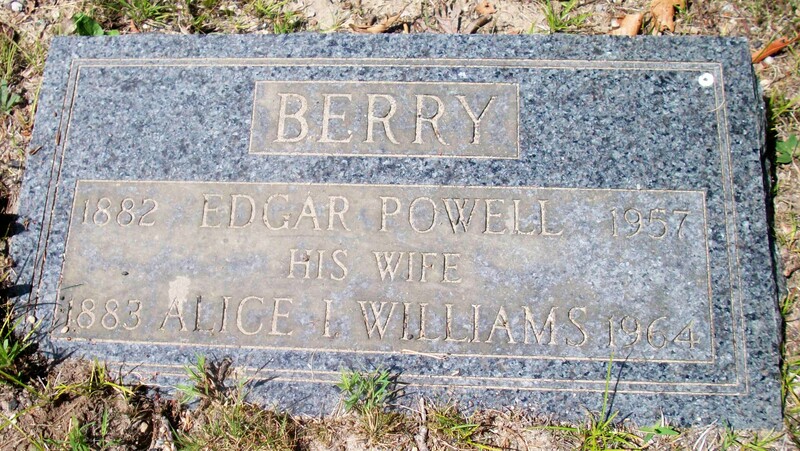 Edgar Powell Berry, lll, WW ll; (September 16, 1914 – April 26, 1993); Married Dorothy M. (–), WW ll (1919 – 2007); Edgar was a Doctor; He & Dorothy are buried in Cataumet Cemetery. 3. 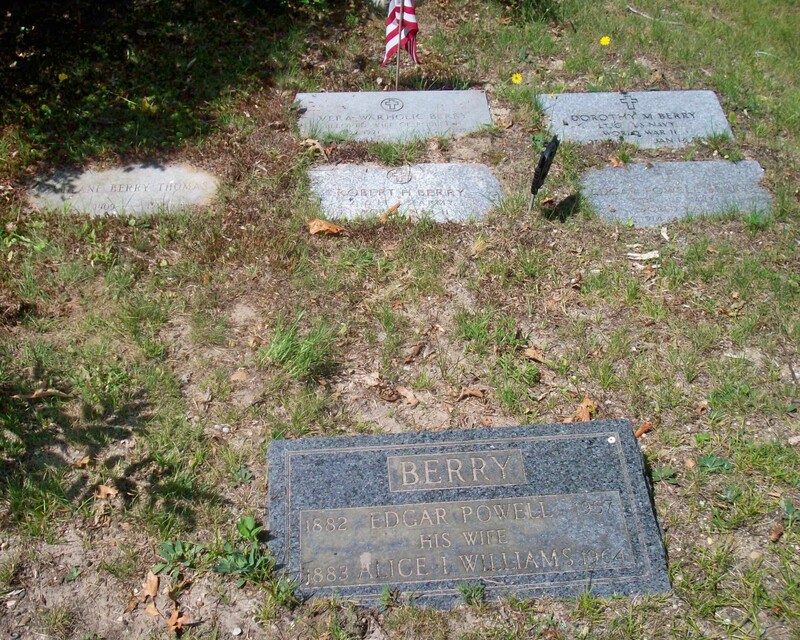 Robert H. Berry, WW ll; (March 4, 1920 – July 26, 1980); Married Vera Warholic (1921 – 2002) (Anthony Warholic & Anna Zuraw); Robert & Vera are buried in Cataumet Cemetery.